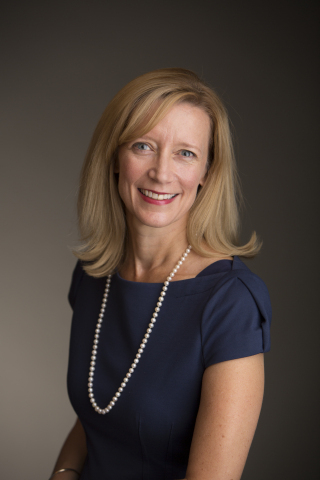 WASHINGTON--(BUSINESS WIRE)-- Michelle O'Neill, Vice President Government Affairs and Trade Policy for Alcoa (NYS: AA) , was honored recently with a 2012 Presidential Distinguished Rank Award, the nation's highest civil service award, for outstanding achievement in public service. The award recognizes Ms. O'Neill's extraordinary success as the Deputy Undersecretary for International Trade - the position she held before joining Alcoa - in which she led more than 2,300 Commerce Department employees worldwide. The annual awards are presented by the President to senior federal managers. Of the 6,800 senior executive service employees in the U.S. Federal Government, no more than 1 percent are recommended to the President by a panel of private citizens to receive the award each year. Ms. O'Neill joined Alcoa in August 2012 and serves as the company's top government liaison executive in Washington, D.C. She leads Alcoa's federal and state government affairs activities and is responsible for international trade policy supporting Alcoa's global businesses. Throughout her career with the government, Ms. O'Neill had been active on critical trade and commercial issues affecting the U.S. economy, ranging from addressing market access barriers for U.S. firms in China, Russia and Europe to helping companies across the U.S. expand their export markets. The 54 Distinguished Rank awardees were honored at a banquet hosted by the Senior Executive Association, the professional association for career federal employees, last week in Washington, D.C. These federal executives together saved the government approximately $94 billion. The Distinguished Rank awards have been given annually by the President of the United States since the establishment of the Senior Executive Service in 1978. Alcoa is the world's leading producer of primary and fabricated aluminum, as well as the world's largest miner of bauxite and refiner of alumina. In addition to inventing the modern-day aluminum industry, Alcoa innovation has been behind major milestones in the aerospace, automotive, packaging, building and construction, commercial transportation, consumer electronics and industrial markets over the past 125 years. Among the solutions Alcoa markets are flat-rolled products, hard alloy extrusions, and forgings, as well as Alcoa® wheels, fastening systems, precision and investment castings, and building systems in addition to its expertise in other light metals such as titanium and nickel-based super alloys. Sustainability is an integral part of Alcoa's operating practices and the product design and engineering it provides to customers. Alcoa has been a member of the Dow Jones Sustainability Index for 11 consecutive years and approximately 75 percent of all of the aluminum ever produced since 1888 is still in active use today. Alcoa employs approximately 61,000 people in 30 countries across the world. For more information, visit www.alcoa.com, follow @Alcoa on Twitter at www.twitter.com/Alcoa and follow Alcoa on Facebook at www.facebook.com/Alcoa. The article Alcoa Vice President Michelle O'Neill Receives U.S. Presidential Award originally appeared on Fool.com.